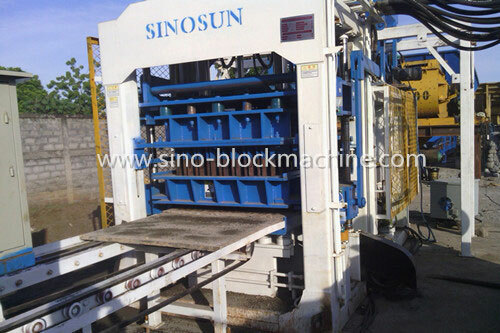 SINOSUN concrete block making machine QT10-15 is a big, automatic, hydraulic machine. It is PLC control with touch screen. 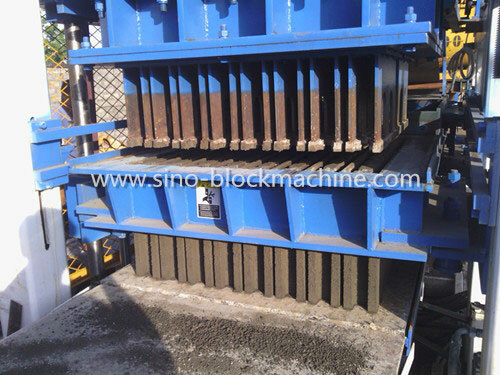 QT10-15 concrete block making machine can make pavement bricks, riverside bricks, revetment bricks, square bricks, grass-planting bricks, and all kinds of hollow blocks and solid bricks by changing the moulds. 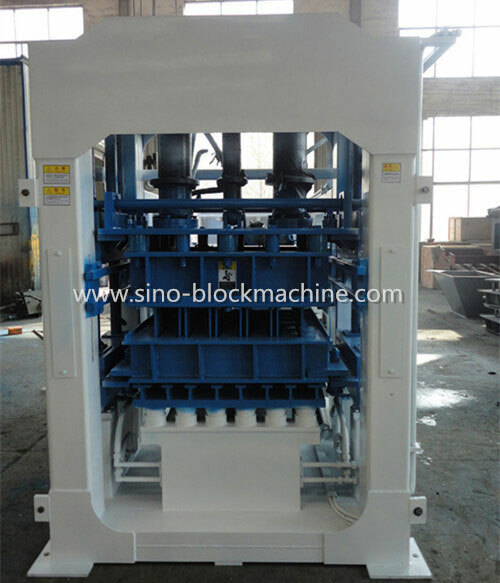 Low frequency in material feeding, high frequency in vibration, table vibration works together press head, QT10-15 concrete block making machine can fully exhaust the air in the concrete in two or three seconds and reach high density. 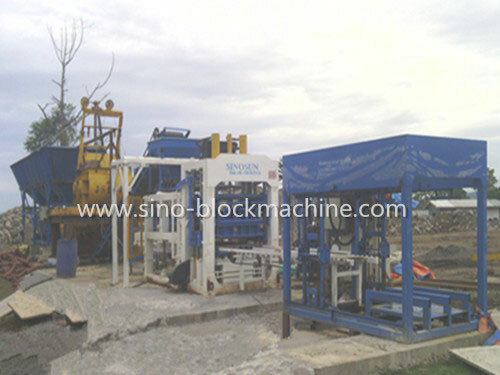 Advanced hydraulic proportion control technique can handle the oil press and amount of system freely, therefore, different material can be able to produce high quality products. The whole procedure are controlled by PLC and equipped with data out-and-in device to realize ideal man-machine conversation. The PLC also has the function of safety logic control and fault diagnosis system. 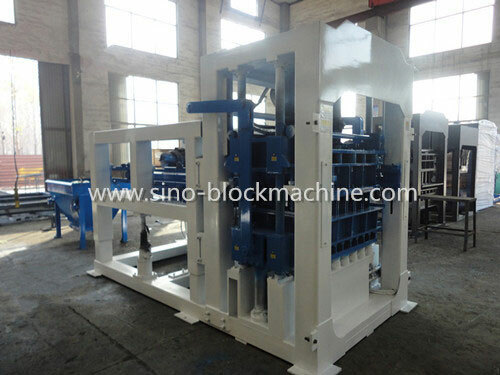 QT10-15 can widely use fly ash and slag, hold river sands, cement and steel slag, acid water slag, gangue, gravel, lime, mountain flower as raw material. QT10-15 has big pressure. There are three hydraulic cylinders on the top. The pressure can reach 21Mpa. The hydraulic station we adopt TAIWAN Calyca brand. PLC control we adopt SIMENSE brand. 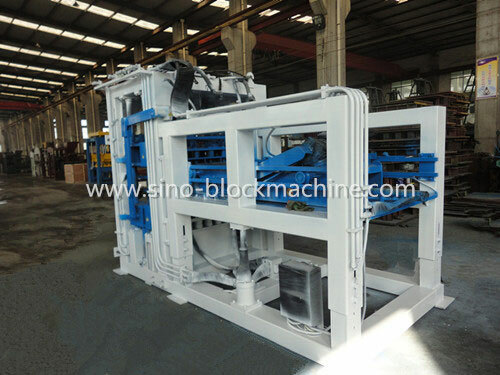 These make sure our machine work steadily and smoothly for long time.